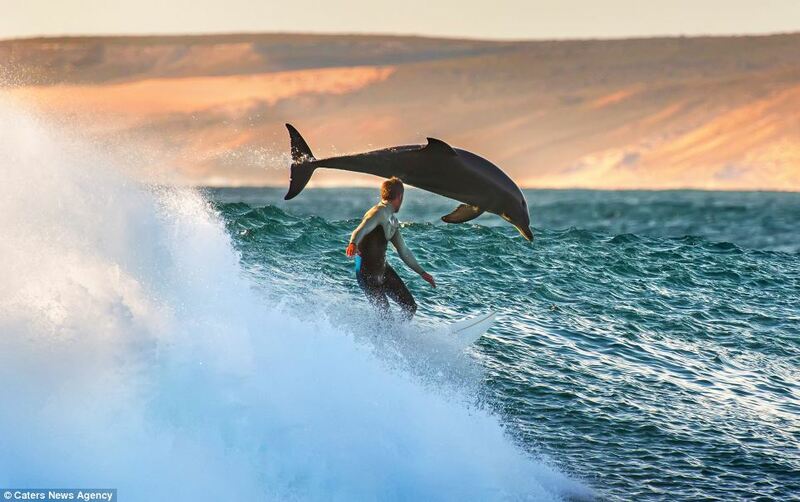 Surfer Trent Sherbourne set out to surf some Australian waves, only to be out performed by some dolphins! 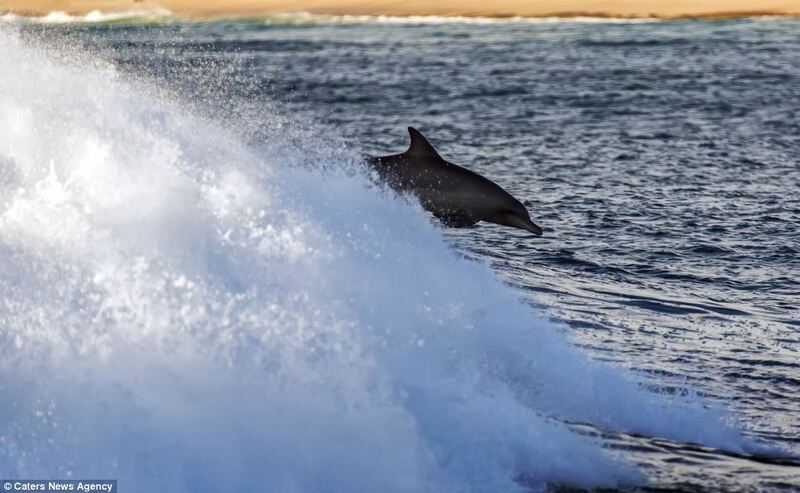 What an incredible experience and surprise it would be to find yourself not only sharing the surf with a pod of dolphins, but to also have them jump out of the water right in front of you. This moment was captured back on land by a self taught photographer, Matt Hutton, who was lining up his last shot of the day, while experimenting with a new lens. As a dolphin lover and photographer … this would an incredible experience and such a rare moment to capture! This photographer was definitely at the right place at the right time! His photos turned out to be amazing … Enjoy! Reblogged this on Surfing The Unknown.